Spring is one of my favorite times of the year --- besides Fall. I'm such a sucker for all the pretty shades of pink and all the pastel's and greens. And oh! Easter! Easter candy, Easter decor, Easter vibes... my birthday sometime's falls on Easter and I use to hate it cause everything is closed that day so I didn't really get to go celebrate but it hasn't landed on Easter in a really long while (though I do worry every year lol) so it's all good lol! 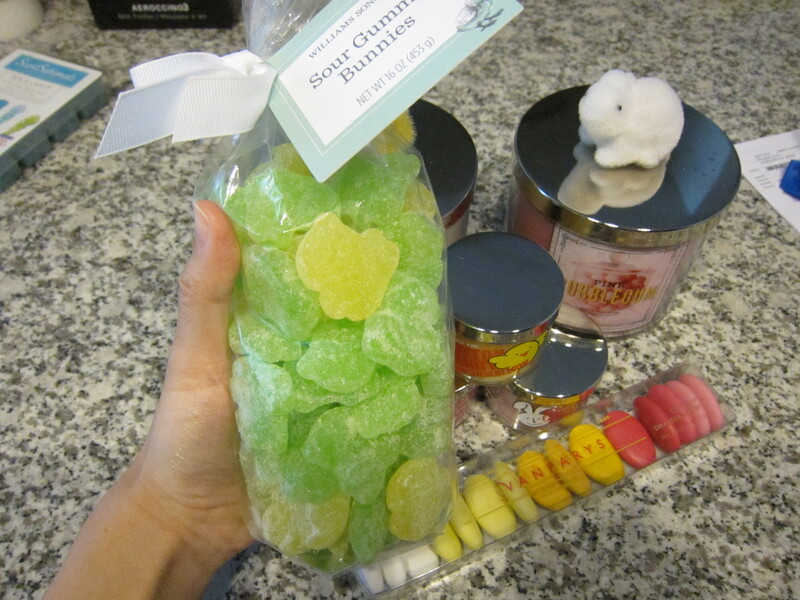 There are two times a year I look forward to Williams Sonoma seasonal candy and that's for Easter when they come out with these delicious sour bunnies I've grabbed every year since 2011 (pink is grapefruit, green is key lime and yellow is lemon --- tbh I only like the green ones) and Halloween when they release the sour pumpkins (which I think overall are orange flavored). This is the first time EVER I've found a bag that's MOSTLY ALL green. Please BELIEVE I snatched this up REAL quick! YEEES. I can just FEEL the sour pain in my mouth now lol! I wanted the Jordan Almonds that came in pretty pastel colors but they were like $25 for a box. Granted it was a big box but $25?! I mean I am going back for them but in the meantime I picked up these chocolate candy coated eggs that came in an ombre of colors (because I couldn't take it anymore and ate some). I THOUGHT they had almonds too but they're just solid Belgian Chocolate which imo is the BEST kind of chocolate anyway. These are SO good. I need another box. Today though I was opening these up VERY carefully like I always do and they SPILLED ALL OVER THE FLOOR. I literally cried before Bubba came running into the kitchen scrambling to find them all and offering to wash them. I have anxiety and OCD so... things get difficult for me when it comes to being "dirty". They've lost their color but I still ate them. Sometimes he questions if I have OCD even though he sees the stress it puts me under and he sees all the weird habits and rituals I have; but when it comes to food sometimes it's easier to ignore some of the OCD. I JUST REALLY LIKE FOOD AND EVEN OCD AND ANXIETY CANT TAKE THAT AWAY, OKAY? 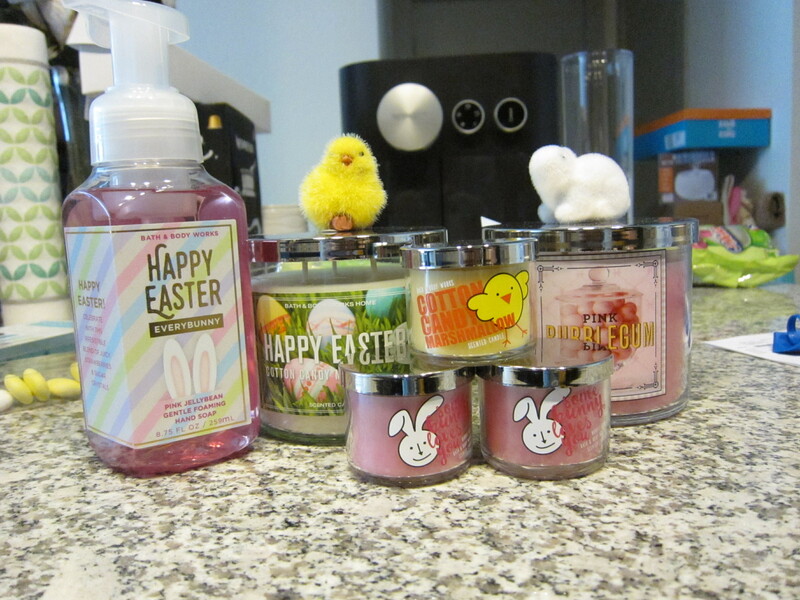 I'm a huge Bath & Body Works candles and soap collector. I saw that the Easter candles recently hit the sales floor so we went and got one. Bubba also managed to find a Bubblegum candle which was part of The Sweet Shop collection they recently re-released and it was THE LAST ONE. I've been searching everywhere for this candle! 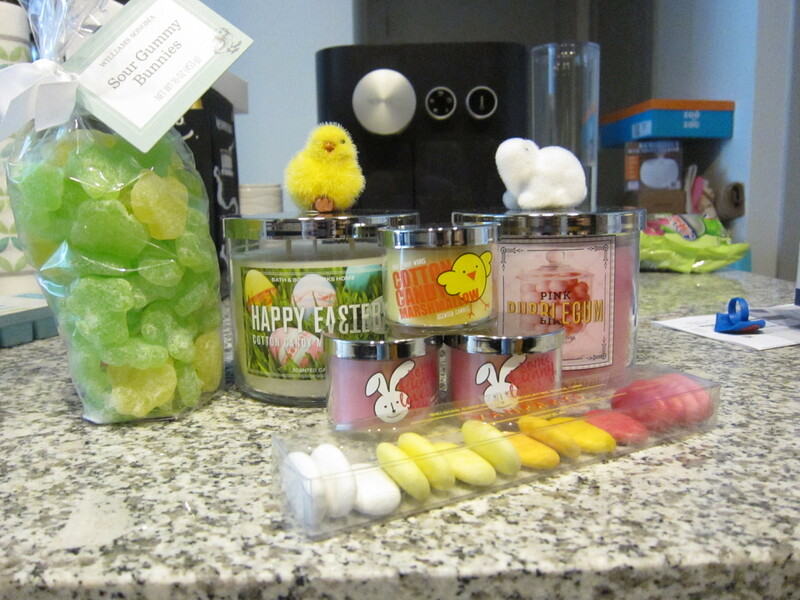 The large Easter candle is the same as it was 2 years ago but a different packaging. Though I feel like ever since Bath & Body Works stopped working with Slatkin & Co the small candles really don't have a scent throw anymore. 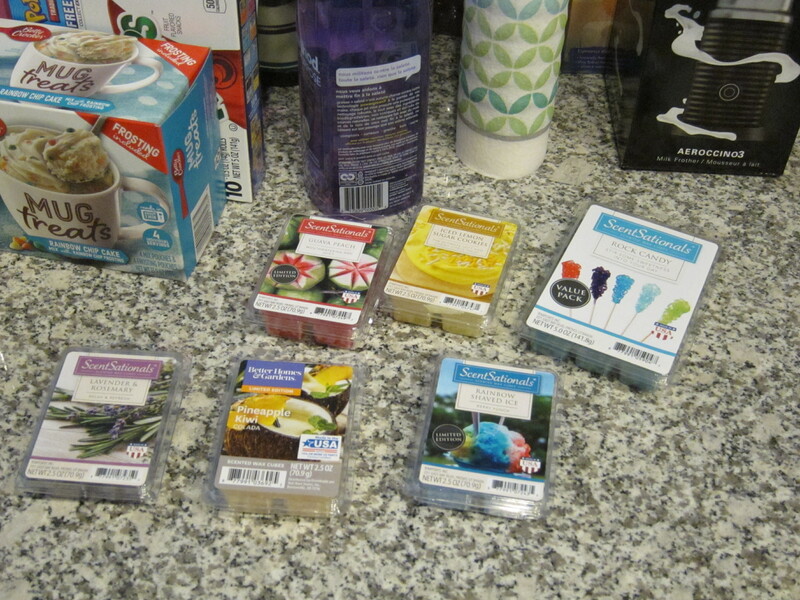 I also found some wax melt goodies at Wal-Mart! I was surprised to see the Rock Candy one that came out 2 years ago in a BIG format now. 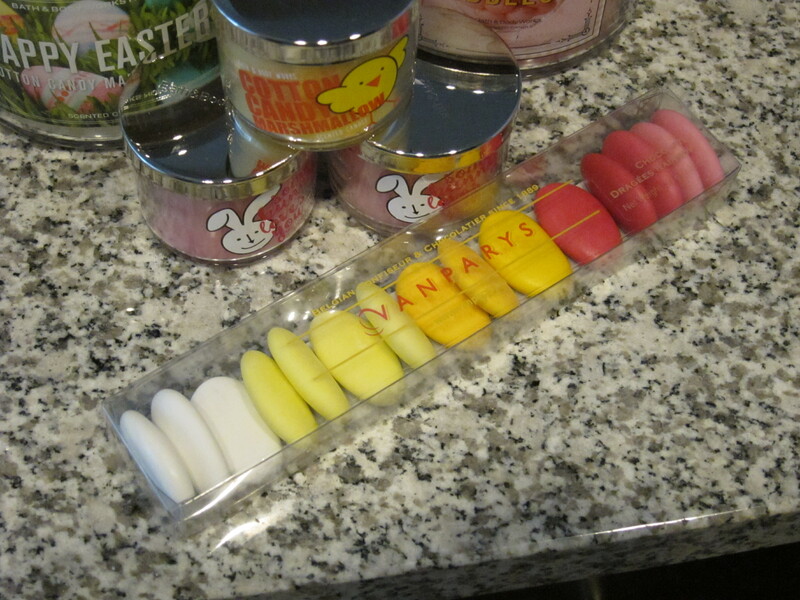 Unfortunately the Taffy one and the Pink Velvet ones were nowhere to be found. But the Lemon Cookie one is still ones of my favs, I like mixing it with the Lemon Poundcake (which I couldn't find either). The rest of the other scents are new to me; the Rainbow Shaved Ice sounds super interesting. Can't wait to melt these and see what they're like! I'll have to find my light up wax melter I had in Florida to keep in my room since I only have that one and the one in the kitchen right now.